Understanding the chemistry of Puget Sound may be as important as understanding the biology. Let me put that another way: Biology as we know it in Puget Sound wouldn’t exist without the right chemistry. 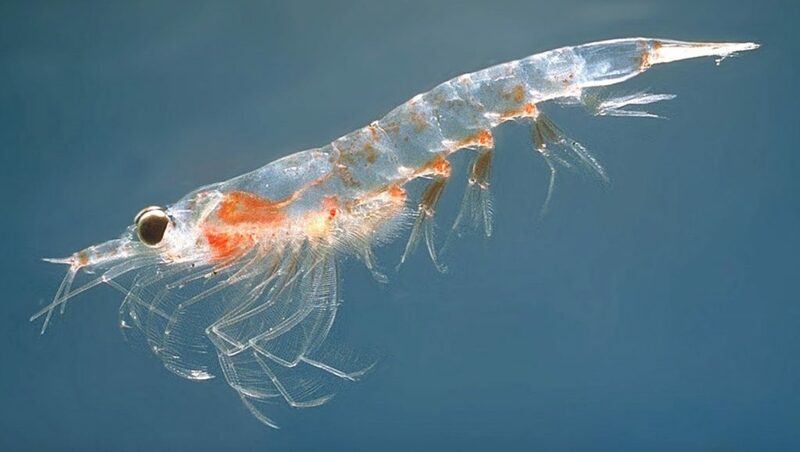 Tiny krill, one of many organisms affected by ocean acidification, demonstrate how water chemistry can affect the entire Puget Sound food web. For example, krill are eaten by herring, which are eaten by Chinook salmon, which are eaten by killer whales. Ocean acidification is altering the chemistry of the oceans on a worldwide scale, but the Pacific Northwest and Puget Sound are being hit with some of the most severe problems, as experts point out in a new report by the Washington State Marine Resources Advisory Council. For years, I have written about the low-oxygen problems in Hood Canal and other areas of Puget Sound. Of course, oxygen is essential to life as we know it. Major fish kills, in which dead fish float to the surface, have generated a lot of attention. At the same time, it has been harder to report on the animals dying from lack of oxygen when their carcasses are at rest in deep water. And it has been nearly impossible to keep track of the “dead zones” that come and go as conditions change. It wasn’t until more research was conducted on the effects of ocean acidification that researchers realized that low-oxygen conditions — which were bad enough — had a dangerous companion called low pH — the increased acidity that we are talking about. Low pH can affect the growth and even the survival of organisms that build shells of calcium, including a variety of tiny organisms that play key roles in the food web. As the oceans absorb carbon dioxide from the air, we see an increase in carbonic acid in the water, which has an effect on the ability of organisms to take up calcium carbonate. For a more complete explanation, check out “What is aragonite saturation?” on page 17 of the report. Increased acidification is a special problem for Washington and the West Coast of North America, where deep acidified water in the Pacific Ocean hits the coast and rises to the surface. Jay, who serves on the Marine Resources Advisory Council, was quoted in a story I wrote for the Puget Sound Institute, later republished by the Kitsap Sun. The story describes some of the problems resulting from ocean acidification in Puget Sound, where an entirely different mechanism connects ocean acidification closely to low-oxygen conditions. Researchers have concluded that an excessive growth of plankton in Puget Sound can be triggered, in part, by the release of nutrients from sewage treatment plants, septic systems and the heavy use of fertilizers. When plankton die and decay, bacteria use up oxygen while releasing carbon dioxide, thus increasing acidification. Although the details still need to be sorted out, it is clear that some creatures are more sensitive than others to low oxygen, while low pH also affects animals in different ways. This “double whammy” of low oxygen and low pH increases the risks to the entire food web, without even considering the added threats of higher temperatures and toxic pollution. “The updated report reinforces our federal, state and tribal partnership to combat ocean acidification by working together, modifying and expanding on approaches we have developed through ongoing research,” said Libby Jewett, director of NOAA’s Ocean Acidification Program in a news release (PDF 166 kb). Nitrates are higher and oxygen is lower in buried streams than those that see daylight. There’s no phytoplankton in a buried stream. Intertidal culverts are the worst because the tide backs up the pipe bringing things to a stop. There are 130 miles of pipe under Olympia carrying buried streams. The City refuses to consider daylighting any. We need to do a better job of managing our urban watersheds. The all important lower ecoregion is heavily urbanized. I wish that you would inform the legislature of these problems. I just read an open letter in the Olympian from Rep Drew McEwan making the case against a carbon tax.